DB-Engines Popularity Ranking of Database Systems — Since December 2016, PostgreSQL, Elasticsearch, MariaDB, and Azure Cosmos DB have shown the biggest gains. Oracle, MySQL, SQL Server have had the biggest falls relatively, but still top the chart. 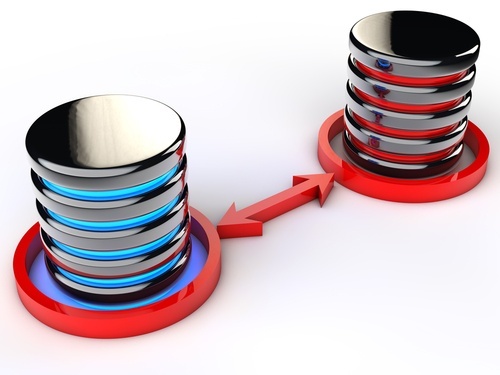 MySQL Replication Tutorial For Disaster Recovery — This blog post is a step by step tutorial on how to set up MySQL Replication between AWS regions. This is an essential part of our disaster recovery plan at Engine Yard. A previous blog post gives a higher level overview on disaster recovery. A Comparison of Advanced, Modern Cloud Databases — A non-exhaustive primer of modern cloud database solutions like Aurora, Cosmos, and Spanner. A Look at the Graph Database Landscape — Graph databases are the fastest growing category in all of data management, according to DB-Engines.com. 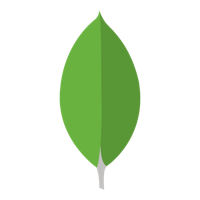 MongoDB 3.6 Released: Security, Robustness and JSON Schema — A new version of the popular NoSQL database: better hardened against network outages with ‘Retryable Writes’, as well as against ransomware by only binding to localhost by default. It now also supports JSON Schema for data validation. See What's New in MongoDB 3.6 — Read the guide or try 3.6 right away. Redis 4.0 Released — The popular data structure server took a step forward with several key improvements including a new replication engine and official support for modules. SQL Server 2017 Released: What's New? — A look at the year’s big SQL Server release with new features from Python support to adaptive query optimization and a built-in graph database. Apache Kafka Goes 1.0 — Billing the popular event streaming platform ‘enterprise capable’, its creators reflect on its history and feature set. BigchainDB 1.0: A Scalable Blockchain Database — BigchainDB is a decentralized database with blockchain characteristics, at scale. GitHub repo. CockroachDB 1.0: A Production-Ready Go-Based SQL Database — One of the “NewSQL” generation of databases, CockroachDB is an open source, distributed SQL database designed for high availability. MapD Open Sources Its GPU-Powered Database — Mark Litwintschik has also written a handy guide to compiling MapD from source. Moving Yelp's Core Search to Elasticsearch — A post mortem of Yelp’s successful migration to Elasticsearch from a custom system built on top of Lucene. Architecture of Giants: Data Stacks at Facebook, Netflix, Airbnb, and Pinterest — Simple event data infrastructure diagrams from several fast-scaling companies. How Discord Stores Billions of Messages with Cassandra — Discord is a popular chat system for gamers. They started out with MongoDB but here they explain why and how they moved to Cassandra, and how they dealt with garbage collection issues. Writing a Time Series Database from Scratch — Prometheus is an open source monitoring tool that includes a custom time series database. This is a deep dive into fleshing out a new architecture to address the existing database engine’s shortcomings. Elasticsearch Cluster Lifecycle at eBay — A look at some of what’s involved with streamlining the rollout and management of Elasticsearch clusters. Publishing with Apache Kafka at The New York Times — How Apache Kafka and its Streams API are used for storing and processing all the articles published by the NYT. Timescale: An Open Source Time-Series Database — SQL made scalable for time-series data. It’s Postgres compatible and optimized for fast ingest & complex queries. Microsoft Unveiled Azure Cosmos DB, A New Multi-Model DB — An Azure-based globally-distributed multi-model database built for low latency, elastic scalability, and high availability. Cloud Spanner: A Global Database Service from Google — A globally-distributed relational database service with ACID transactions and SQL semantics. WIRED’s writeup gives the bigger picture of why this was a big deal. YugaByte: A New Open Source, Cloud-Native Database — From the team that built Facebook’s internal NoSQL platform comes a new database for mission-critical applications which supports both the Cassandra and Redis APIs. GitHub repo. RocksDB: A Persistent Key-Value Store for Flash and RAM Storage — From Facebook came a library forming the core of a fast memory-based key-value store. Peloton: The Self-Driving Database Management System — An in-memory, DRAM/NVM optimized, relational database management system designed with autonomous operation and optimization in mind. JanusGraph: An Open-Source, Distributed Graph Database — A highly scalable transactional graph database optimized for storing and querying large graphs with billions of vertices and edges distributed across a multi-machine cluster. AgensGraph: A Transactional Graph Database based on Postgres — An open source, multi-model database which supports both relational and graph-based data models, even supporting both SQL and openCypher within the same query. GryadkaJS: A Paxos-Based Replicated Key/Value Layer On Top of Redis — Gryadka is a minimalistic Paxos-based master-master replicated consistent key/value layer on top of multiple instances of Redis. GeoMesa: An Open-Source Spatio-Temporal Database Layer — GeoMesa provides spatio-temporal indexing on top of Accumulo, Bigtable, and Cassandra, as well as near real-time stream processing and spatial semantics on top of Kafka. TigerGraph Emerges with Native Parallel Graph Database — A startup named TigerGraph has emerged from stealth with a new native parallel graph database its founder thinks can shake up the analytics market. ProfaneDB: A Protocol Buffers Database — Based on RocksDB and can be used with any language that supports gRPC. TileDB: A Multi-Dimensional Array Data Management System — A database that started life at MIT and Intel that’s designed for storing massive dense and sparse multi-dimensional array data. Amazon Aurora Serverless: Databases on Demand — Aurora is AWS’s MySQL- and Postgres-compatible scalable database service and they’re now working on a pay-as-you-go variant for highly variable workloads. Hello Memgraph: A Real-Time Transactional Graph Database — Designed for the ‘artificial and machine intelligence’ era, Memgraph is focused on speed and scale and is available in an early access ‘Community Edition’. Amazon Neptune: A Fully Managed Graph Database Service — A big week for graph databases, it seems, as Amazon announces a new graph database service for AWS users.